Roland Glowinski, Cullen Professor of Mathematics at the University of Houston, has been named a Fellow of the American Mathematical Society (AMS) for 2013, the program’s inaugural year. The class of 1,119 Fellows, announced on November 1, includes mathematical scientists from more than 600 institutions around the world. The prestigious program recognizes AMS members who have made outstanding contributions to the creation, exposition, advancement, communication and utilization of mathematics. “The new AMS Fellows Program recognizes some of the most accomplished mathematicians -- AMS members who have contributed to our understanding of deep and important mathematical questions, to applications throughout the scientific world, and to educational excellence,” said AMS President Eric M. Friedlander. Glowinski joined the AMS when he moved to the U.S. in 1985. “It is indeed a great honor to be named a Fellow of the American Mathematical Society and to be recognized for my contributions to the profession,” he said. 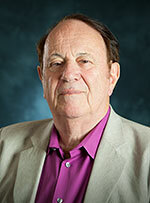 A member of French National Academy of Sciences and the French National Academy of Technology, Glowinski became a member of the UH faculty in 1985. He received the university’s Esther Farfel Award in 2002, the highest accolade bestowed in recognition of faculty excellence. In 2009, he was named to the inaugural class of the Society for Industrial and Applied Mathematics Fellows and received that organization’s Theodore Von Kármán Prize in 2004. “The Department of Mathematics is proud of Roland’s continued accolades. He is one of several distinguished professors who continue to bring honor to our department and the university at large,” said Jeff Morgan, math department chair.